An interesting side effect of the information age is that people have more information about the companies they buy from and they often take a company’s image into effect when shopping. Corporate responsibility and environmental sustainability matter more than ever. It’s more than just avoiding bad actions; good brand perception can have an effect on revenue. Recent studies have shown that being environmentally responsible can have a positive impact on how people feel about a brand, or at least where they choose to spend their money. Tiller, LLC recently released their 2014 Green Survey, which polled US consumers to see how environmental issues. The researchers found that people of all ages were becoming more concerned about how the environment. This concern has led more people to be aware of the impact of companies and to adjust their buying habits according. Based on this most recent data, business owners and marketers should expect consumers to be more aware of the sustainability in 2015. Tiller reported that 87 percent of US women and 78 percent of US men said they planned to look for more opportunities to behave environmentally responsibly in 2015. Making a sudden switch to more environmentally friendly practices may not necessarily get people to think differently about the company though the results will still be good. Many consumers are skeptical if a company suddenly decides to decides to go green. People assume it’s more about marketing than about real social concern. According to the study from Tiller, just one in five (21%) of US consumers believe a genuine concern for the environment is a major motivating factor for companies that adopt greener behaviors. Though people may be skeptical about the motives of the company, they are still willing to buy from a company if they are doing the right thing. 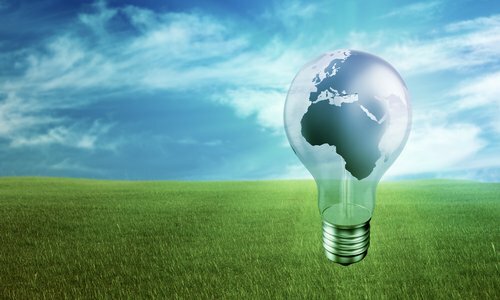 The report noted that 72 percent of US consumers do not care what motivates companies to adopt environmentally friendly policies, as long as they like the results. The research also shows that many consumers will shun products and companies with a poor track record on environmental issues. Loyalty 360 cited research that found 73 percent of US consumers have refused to buy a product they felt had a negative environmental impact. Similarly, 73 percent of US consumers believe it is important to patronize companies that are socially or environmentally responsible. There are several takeaways for marketers from this research. First, it’s important to avoid business practices that are environmentally unfriendly. Consumers are actively trying to avoid companies whose methods aren’t sustainable. Second, even if most consumers will attribute a company’s actions to profit motives rather than actual environmental concern, they still want to reward businesses that are environmentally responsible, regardless of the motive. Finally, given the first two conclusions, it’s important for businesses to communicate their environmental track record to consumers. If the product contains recycled materials, if the manufacturing process is sustainable, etc. this information needs to be readily available to the consumer. As consumers become more concerned about the environment and sustainability, being “green” is a good way to keep a company in the “black”. For more advice on improving brand awareness in the new year, read this article with four thing business owners should do in 2015.